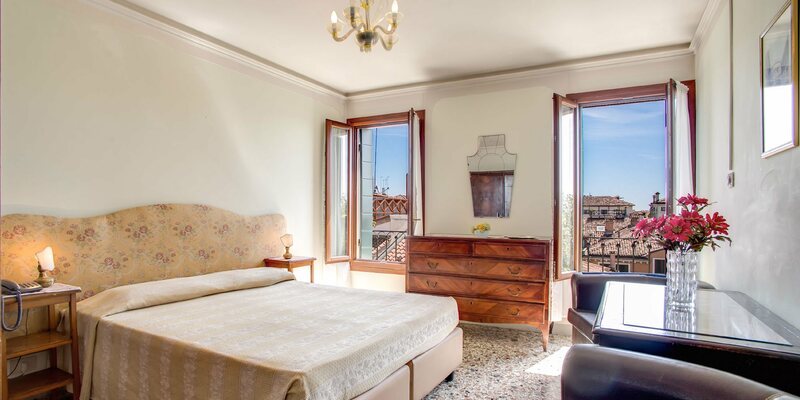 The Hotel Pensione Seguso, ideally located over the Giudecca Canal in Venice’s historical city centre offers guests a unique and intoxicating atmosphere in this historic building that dates back to the 16th century. Just a short Water Bus ride from the vibrant St Mark’s Square, this enigmatic 2 Star accommodation offers guests the option of B&B or half-board among unique and breathtaking surroundings at an affordable rate. 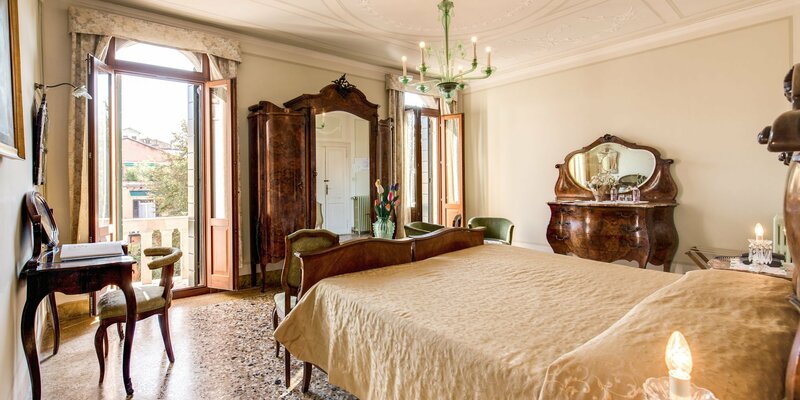 The hotel consists of 36 beautifully furnished guest rooms adorned with 16th century antiques and decorations. 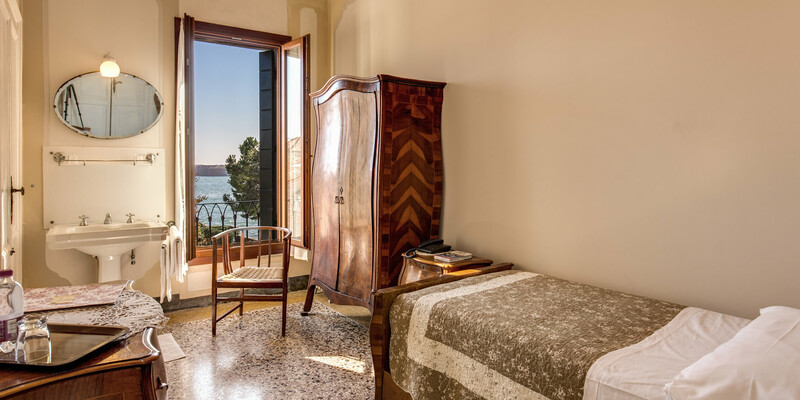 Take the Hotel Pensione Seguso Video Tour to get an insight into the grandeur of a bygone era that this beautiful Venezia hotel has to offer. Most rooms have a stunning view over one of the two picturesque canals that pass the hotel and such guestrooms should be requested when booking via our Real Time Online Booking System .This system is thoroughly secure and allows you to check the availability of rooms in real time, as well as taking advantage of the best rates (guaranteed) and the regular special offers that are available. As standard, rooms are spacious with autonomously controlled heating and overhead fans, Direct Dial telephones, Televisions are in almost all rooms and some great views of the Canal. There are no internet sockets but there is an internet café only a few minutes walk away. In addition drinks may be purchased from Reception and a nearby shop. 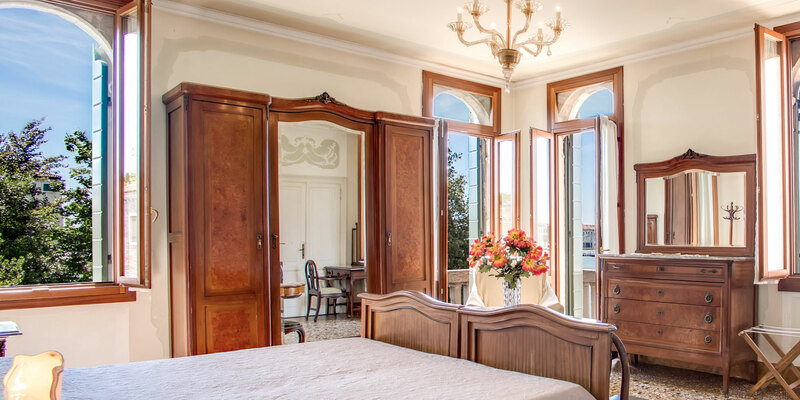 Our reception staff are at your disposal to help you find your way around venice or just to give you general advice on how to maximize your stay in Venezia. 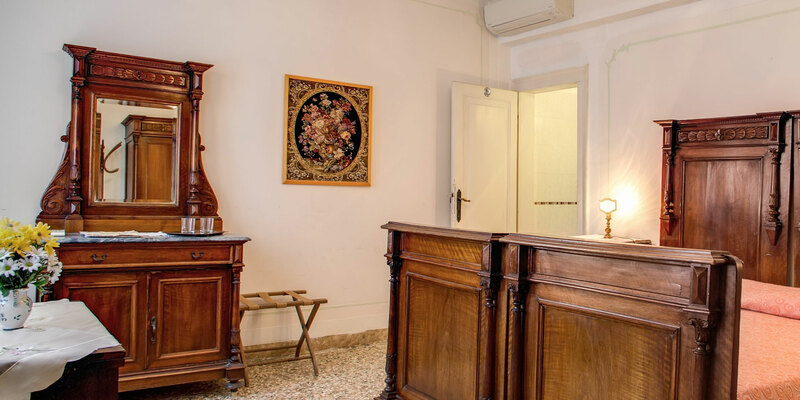 Valuables may be left with the Hotel Pensione Seguso reception staff where a safe deposit box is at guests’ disposal. 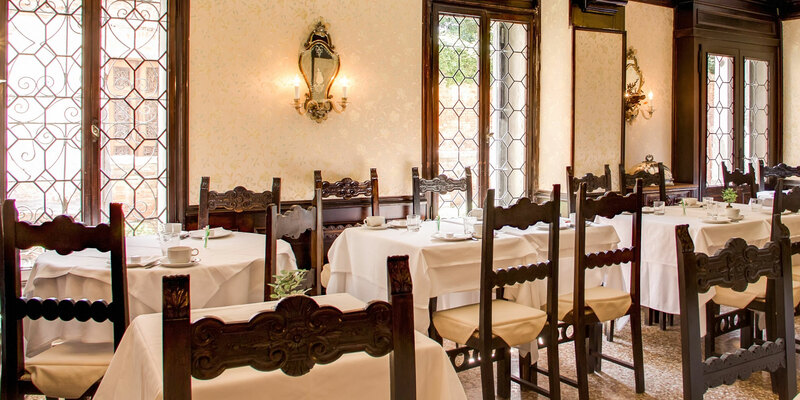 Guests are invited to socialize in the public areas of the hotel, such as our tranquil and relaxing Reading Lounge and later in the day, our exquisite restaurant, offering a range of local and national delicacies as well as a selection of fine wines. 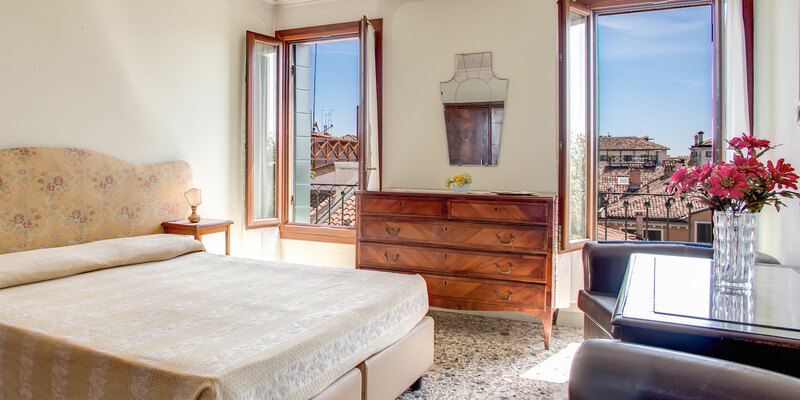 See our Services page for more details of the conveniences and facilities offered at the Hotel Pensione Seguso.